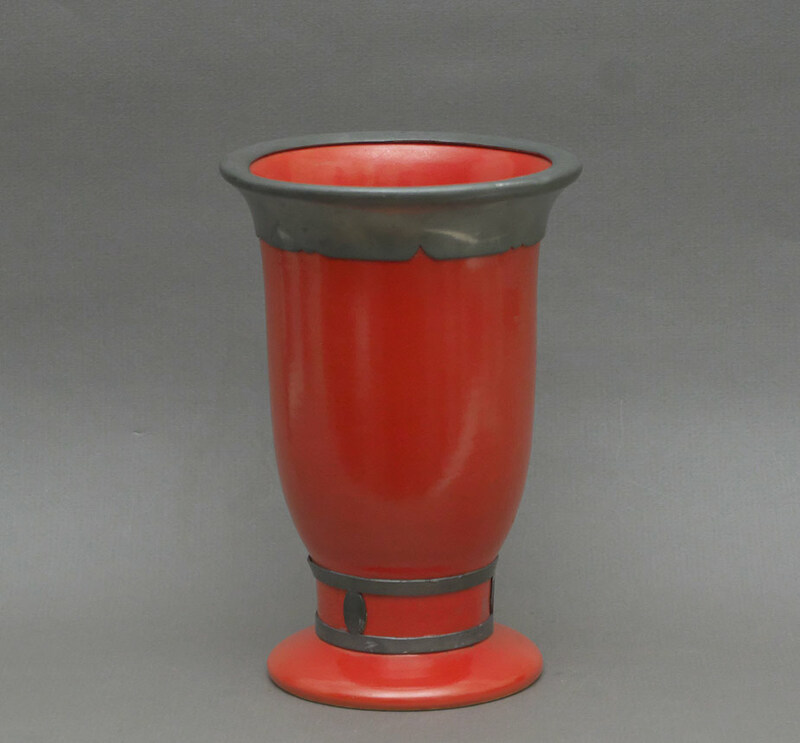 A red matte glazed Plazuid (Plateelbakkerij Zuid-Holland) pottery vase, with Gero pewter mount, art deco period. Signed ‘Koni plazuid Gero Holland’ on base. Height 7-1/2″, Collection # EP19.